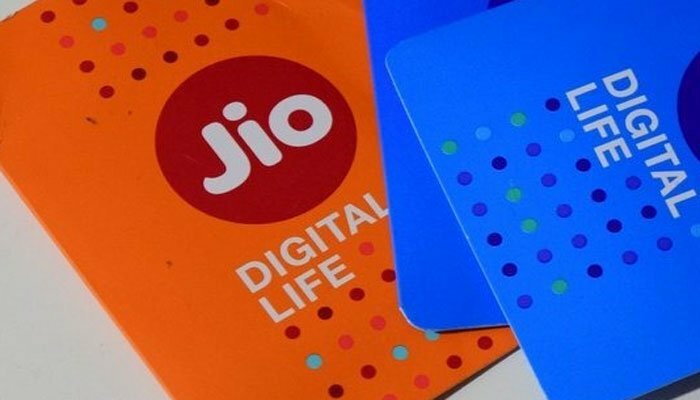 Reliance Jio is celebrating its second anniversary by showering offers for its customers. 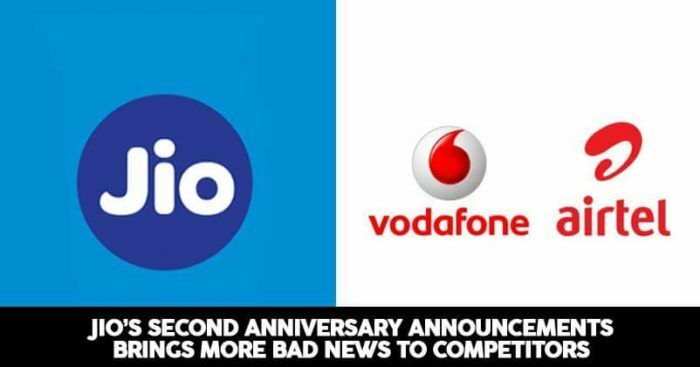 Its biggest surprise came with offering 16GB free data to its entire user base and it followed it by yet another big surprise that is shaken the competition like anything. The company is now planning to sell its highest selling recharge pack of Rs 399 for much cheaper. Reliance since its inception has a single agenda marketing strategy, which is to delight its customers with the best. 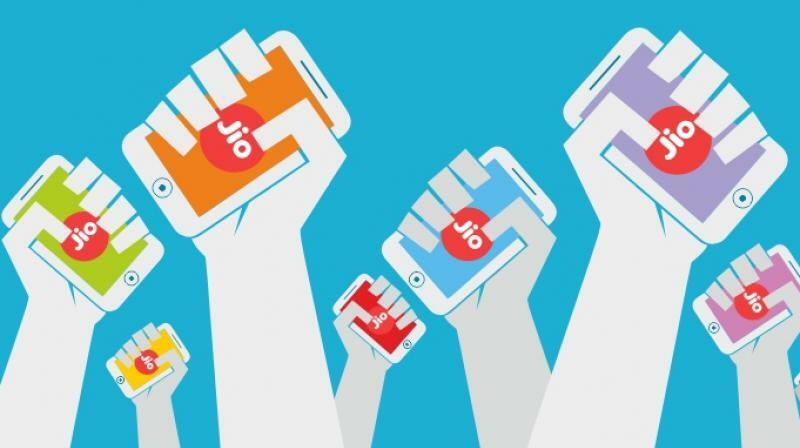 Reliance Jio has been continuously proving as a threat to other big telecom players like Vodafone, Airtel, and Idea, and now this offer has again put them in a spot. The 399-recharge pack will be now available with a discount of Rs 100, making it only for Rs 299 for its users. This has been the company’s highest selling recharge plan ever and which means most of the Jio customers would be making merry with this offer. This unbelievable offer provides Free voice and Unlimited data of 42GB per month for 84 days at only Rs 100 per month. This means in a day a customer can enjoy 1.4GB data in a 4G network. This offer is part of their special anniversary promotion, hence is available only for a limited period. The offer will be on from 13th September to 21st of September’2018. 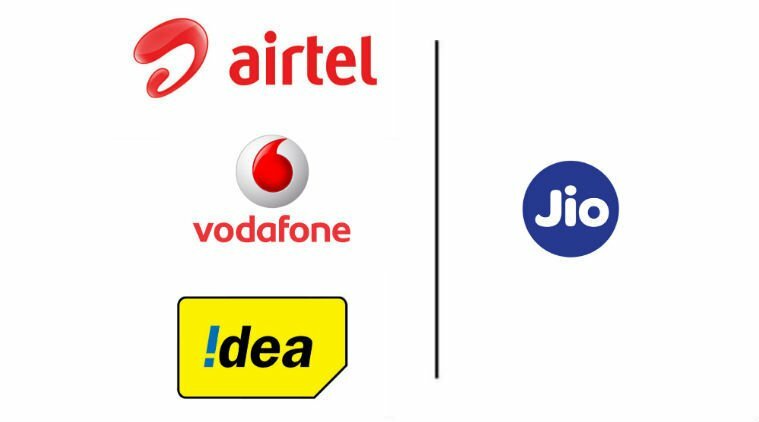 Jio’s constant new offers prove a havoc for Airtel, Vodafone and Idea and every time they struggle to match up to these cheap recharge prices set by Jio. With this current offer, Jio is offering voice and data cheaper than any other telecom brand. In a trial to match up with Jio’s steps, Airtel is offering 1.4GB data per day for 84 days under its 448-recharge plan. Unlimited local, STD and roaming calls with 100 SMS per day, is also part of this recharge. On the other hand, Vodafone is giving a similar plan packed with Free Live TV and movies on its app Vodafone Play for 458 recharge. Idea gives 1.4 GB data per day for 70 days under a recharge pack of Rs 398, which comes second in place after Jio to offer cheaper data. Mukesh Ambani’s promises to make Jio the cheapest available option with no compromise on quality and service are definitely seeing the light of the day. These promises are achieving another level of customer satisfaction on one hand and putting competition in a tizzy on the other.